It's St Paddy's day and since I'm of Irish descent (my Granda was from Galway in ROI) I picked out the greenest item of clothing I own - but being a (not-as-natural-as-I'd-like-to-be) blonde, as a rule, I tend to opt away from greens and yellows so it's more of a pastel green! But it's taking part that counts eh?! This was my chosen work outfit with all items are from Topshop, besides the oversized tartan green and grey blazer which was from Newlook. The black Leigh jeans are my ultimate faves, I must have about four pairs in different colours, plus they're just my length (extra short-arse!). The top is a simple black vest top (nowt special, but does the job) but the boots are my babies! 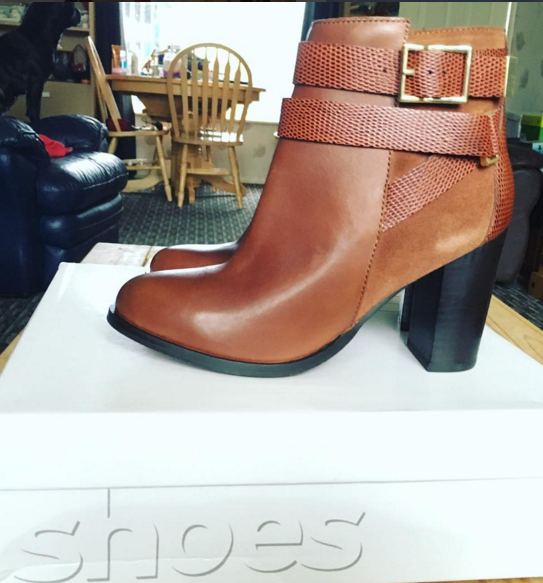 I love these brown Harper boots, it was actually my boyf that bagged them in the sale for me (he has taste right?) down from £72 to £30. They actually still have them in down to a tenner (!!!) if you fit in a lovely size 8 (some of my besties, I'm looking at you!). 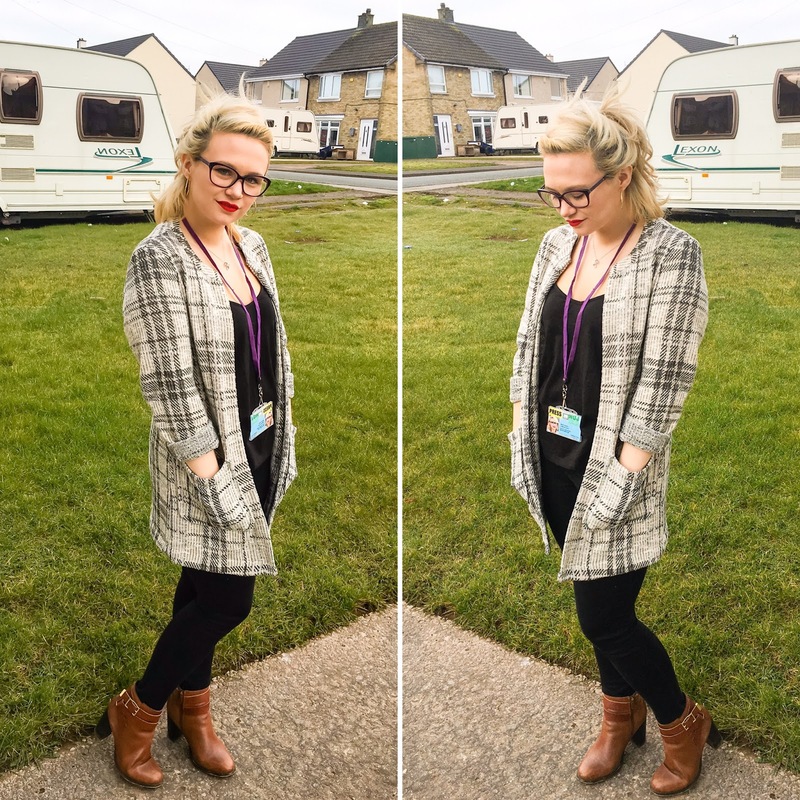 The blazer I actually got way back at the end of 2014, so it's not available any more, but I have had my eye on a couple of similar-ish blazers, all rather affordable, from New Look that I'm definitely looking at getting my mits on. I'd love your opinions on these lovely la'al blazers - send them over. So that's my St Patricks Day work OOTD. I hope you all enjoyed and please do send me links to yours.